An Adventure To The Maxia! 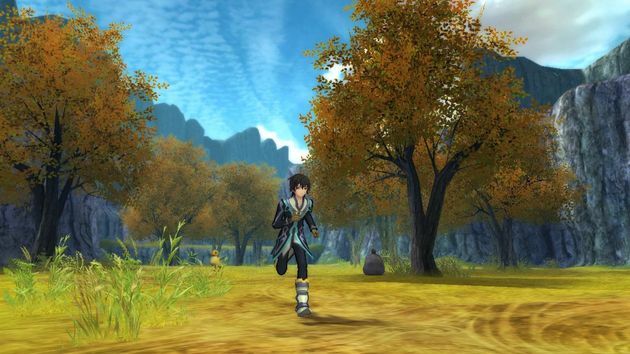 Developed by Tales Team and published by Bandai Namco, Tales of Xillia is a relatively recent title in the long-running and fairly popular Tales of series. While it doesn't quite live up to the high standards Tales of The Abyss and Tales of Vesperia set, it's still quite an enjoyable action JRPG! The story is actually one of the strong points of Xillia with many excellent plot-twists and curveballs thrown you'll be left guessing what's next! The game also lets you choose your main character, each of the two characters has a slightly different story similar to how Star Ocean: The Second Story utilizes the very same feature! The game is fairly short by the series standards and can be beaten within 50-60 hours on your first playthrough. The game utilizes the same combat formula the Tales of series is famous for and tweaks it a bit with the link system and a skill tree to buildup your characters however you want to! The game is fairly light on puzzle solving which depending on your personal tastes could be either a good or bad thing. An interesting new feature is that you actually have to level-up shops to get better prices and unlock new products by donating money and materials. 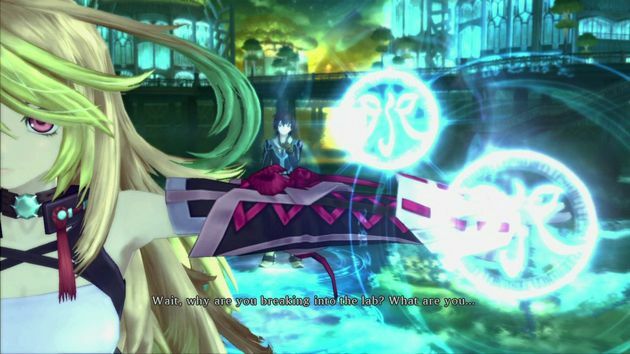 Lastly the characters are extremely likeable in Tales of Xillia and character development is done right! Visually the game looks nice especially the animated cut-scenes, however the many fields and dungeons look too similar to one-another which feels rather lazy, though the main towns look nice. The ports also have the same problem with all of them looking identical to each other. The characters and enemies on the other hand are varied and look excellent. The soundtrack is also very well-done and fits the game quite well! 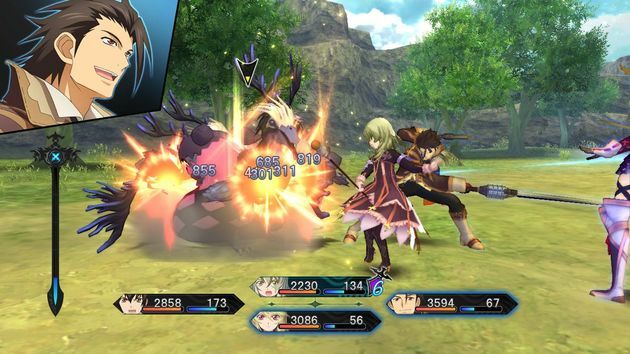 With excellent gameplay, a great story, and a fantastic audio presentation, Tales of Xillia is a great PS3 action-rpg that fans of the series and genre should truly enjoy, however the lack of creativity in the games fields and dungeons really hold this game back on a visual standpoint, however we still highly recommend this game! Is it (ZIL-ee-uh) or (SHIL-ee-uh)? Nice review as always, @Ichigofan! @GeekyGamerZack Thanks! To answer your question, it's pronounced (ZIL-ee-uh). This is much better than Zesteria yuck. My favorite PS3 Tales game is Tales of Graces! Oh but awesome review Ichigo! @GeekyGamerZack Are you going to review any Playstation games? I wonder who is going to review the first PSOne or PS2 Classic? @Retro Gamer Hopefully @GeekyGamerZack will! Edit: Thanks for all of the kind comments you guys and gals! @Retro Gamer I'd love to review some PS4 and Vita games (I don't currently own a PS3, so PS2 Classics aren't an option right now). I'm looking to pick up a new tablet next month, which I intend to be my primary source for writing, as well as a large memory card for my Vita console, so I should be able to do at least one detailed review every month. One of the first reviews I'd like to write is for the PS4 version of Skylanders Imaginators, as I've preordered the special Starter Pack that includes Crash Bandicoot and Dr. Neo Cortex, and I'm itching to share my thoughts on what is shaping up to be the best Skylanders experience yet! Oh yeah, and if you happen to receive any Aussie-compatible review codes for PS4 and/or Vita games, @Ichigofan, I'm more than willing to review a few of those as well. Thanks in advance! @GeekyGamerZack Some of them?! If I send you any codes you'll have to review 'em all! @Ichigofan I know that, I just didn't want to be pushy and expect to receive every single review code that you have, hence the reason I requested only a few of them. I apologise for not being clear. @GeekyGamerZack That smiley is one of the broken ones. Also no worries I already knew, I was just kidding.